American Museum of Natural History announced a major new exhibition, The World's Largest Dinosaurs from April 16, 2011 to January 2, 2012. 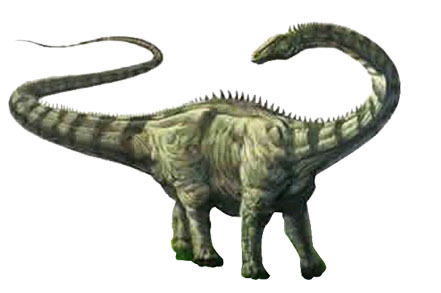 It exhibits the long-necked and long-tailed sauropod ranges in size from 15 to 150 feet long. It will take visitors beyond the bones. It also exhibits Mamenchisaurus and will take visitors shedding light on how heart rate, respiration, metabolism and reproduction are linked to size. It offers visitors an utterly new perception on this fascinating group of animals. It showcases how some of the largest organisms ever to walk the Earth actually lived. The World's Largest Dinosaurs will answer for the questions like how an extremely large animal breathes, eats, moves, and survives. The exhibition will examine the tools and methods paleontologists use to unfasten the secrecy of how the massive animals like sauropod were able to stay alive successfully for tens of millions of years and why they grew to be so large, how much they ate, how they moved, and how their massive bodies worked so well in their environment. The exhibits also include specimens from the Museum's world renowned fossil collection like sauropod limbs, brain endocasts, vertebrae, skin impressions and other ancient specimens. At the end, the exhibition will pioneer visitors to how dinosaurs are revealed in the field through a replicated dig site.